Yesterday was the awesome Barkfest, which is a dog festival where you can meet celebrity dogs, see dog friendly fireworks, and hang out with fellow doggies. For anyone who's a dog lover, it was doggy heaven. Left and right there were the cutest pups and I couldn't help but aww each time. I wish I had some pictures but I forgot since I was busy filming it. Hopefully you guys can see it in a vlog coming soon! I wasn't able to bring my baby since I was in Brooklyn and she's currently in Queens so it was out of the way. Today was definitely way too hot to function. All the dogs had their tongues out and some even went into these small tubs of water to cool down. Everyone was sweating and trying to get some shade. Thank God they even had any shade for us to cool off under. I wish I could walk around in my bikini sometimes, especially when it's this hot out. Instead, I ended up getting weird tan lines that I have to even out now. 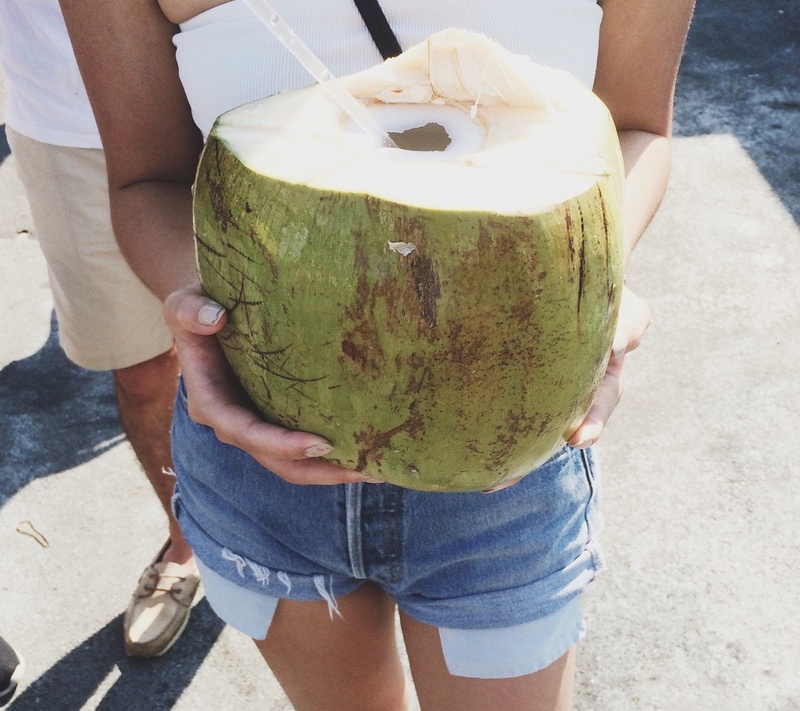 My friends and I were trying so hard to find a place to get some cold drinks but we found these awesome coconuts that were huge! They were $6 each but I wish they were cold. Being extremely hot and drinking warm coconut water isn't necessarily the most ideal. But look at how big my coconut is. It was bigger than my face and I couldn't even hold it with one hand cause it was so heavy! Hopefully they'll have more of these things this summer, and if not, next year! Next time I'll definitely bring my baby girl but let's pray it won't be as hot.